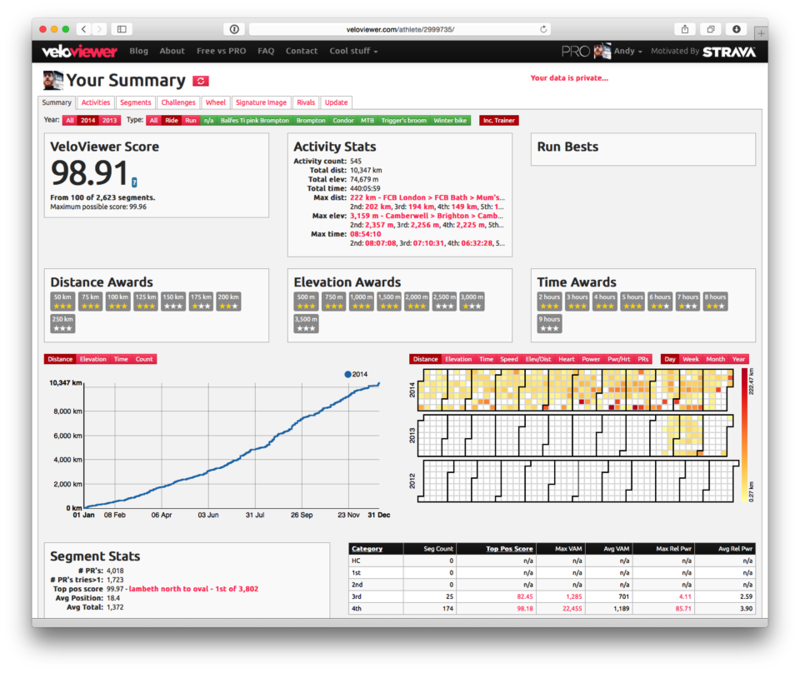 Since using Strava this last year I’ve found a few nice little tools that either expand on the service somehow or extend it via their API and make it better or do something interesting that I thought would be worth sharing. This is by Chris Lamb who has combined a number of his other tools into one installable plugin for Chrome. The only sad thing is that it isn’t available for Safari. Follow him on Strava here. This little tool takes your Strava (or Runkeeper) activities for a set period to make “your exercise data as art”. 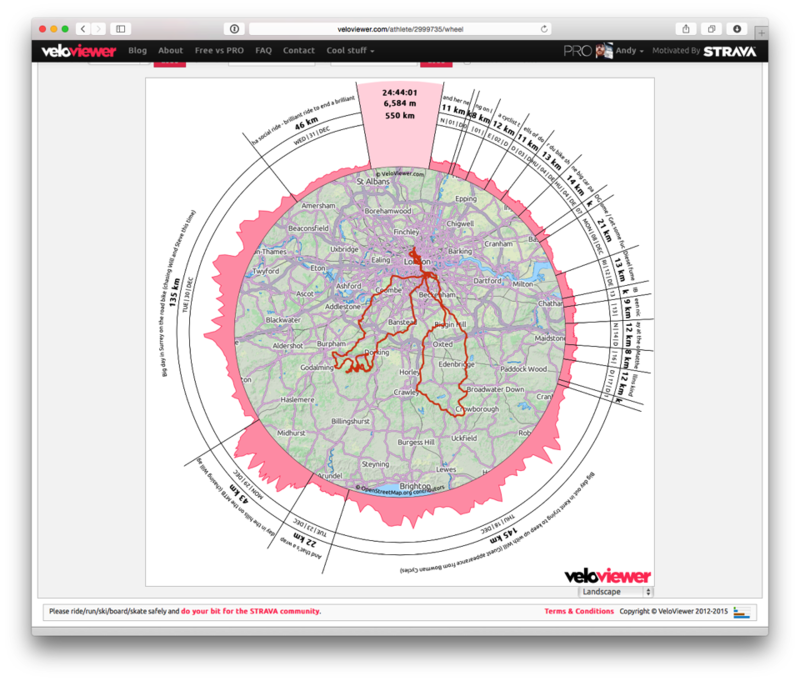 You simply allow it to talk to your Strava account and then play with a few variables to get a nice A3 sized print and an image you can then share online. 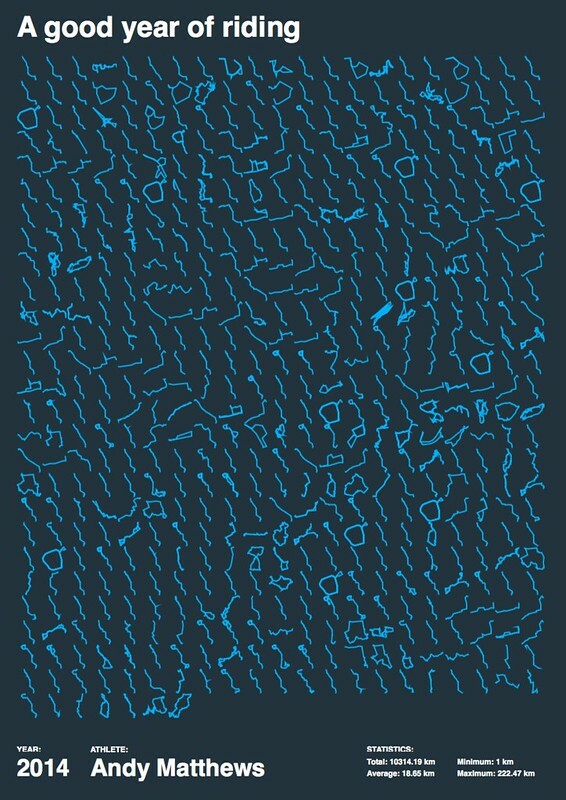 The graphics it produces are from the shapes created by your GPS track which is actually pretty interesting. Hopefully there’s more styles coming soon. It’s interesting picking out the routes you’ve done. The Isle of Wight is pretty recognisable as is the Brompton race. Regents Park also sticks out whether as it’s own unique shape or tacked on to my commute. Nice to see a few more interesting shapes towards the end of the year though. This is mine from 2014 but it could equally be useful for say a big ride such as Lands End to John O’Groats or a big tour somewhere. Just put the date ranges in and plot a graphic. They do prints at £40 for an A3 one which seems reasonable – the quality is allegedly very good. 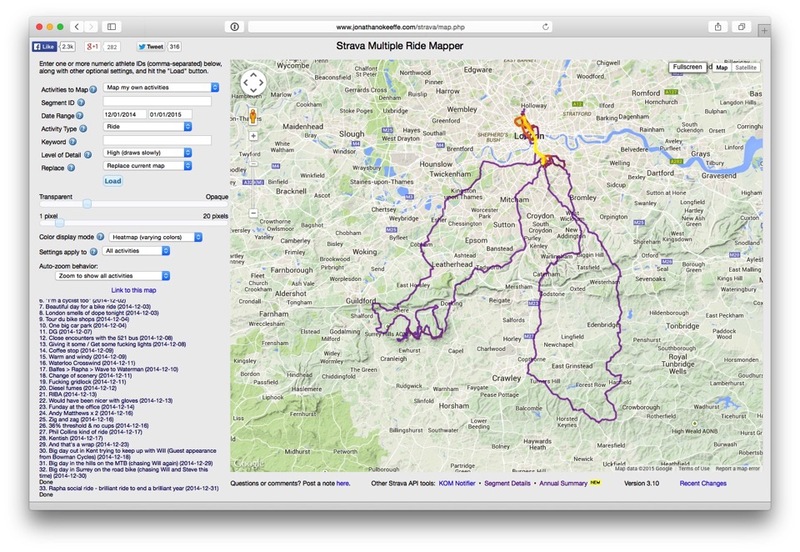 This is a seriously clever little tool with lots and lots of configuration variables to allow you to create a unique graphic with your rides overlaid on one map. 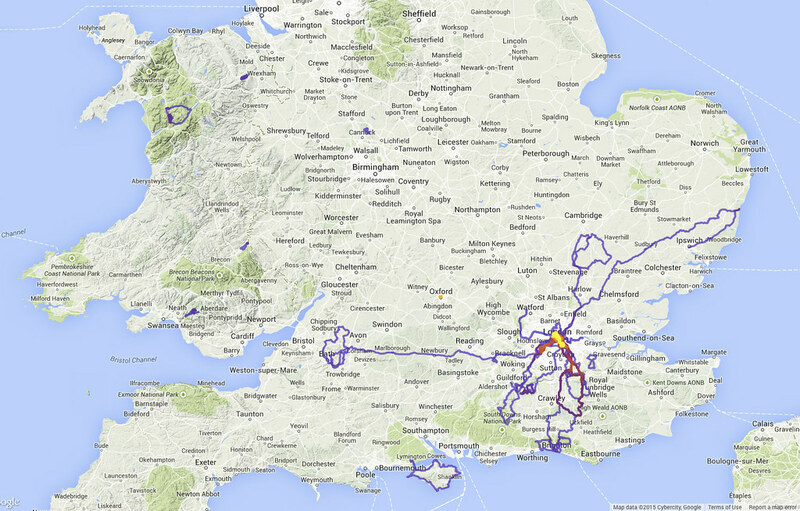 Again I’ve done the whole of 2014 but again this could be interesting for an event such as LEJOG. The interface appears complex but it’s pretty simple to control. Once it’s set just hit run and it does its thing. Generating mine was interesting as you see lots of activity in London and then it expanding out gradually as rides got longer and more ambitious. Anything I’ve missed? Hit me up on Twitter and I’ll add them to the list. Another one added thanks to Thomas Corrie. I haven’t fully understood this one yet but it does appear to allow you to cut up your Strava data in a myriad of ways. Data overload perhaps but it looks pretty powerful. Will have a play with this one tomorrow in a bit more detail. There’s also a similar function with the map as well as numerous others.